Rahul Laxmikant Deshpande from Bombay, B.E. - B.Tech Graduate. PRE-BID SUPPORT PROPOSAL ENGINEERING.. FEED DETAILED ENGINEERING.. VENDOR EVALUATION PRE-COMMISSIONING AN..
are one of expert skill area's of Rahul Laxmikant Deshpande . 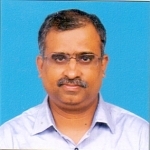 Rahul Laxmikant Deshpande is working in Oil & Gas industry.